Saturday July 2nd’s Neo-Soul-1st-Saturdays featured new album is “Jill Scott “The Light Of The Sun” which will be featured in full at the start of the July 2nd NS1S session. Off street parking in surrounding streets after restrictions end. Wi-Fi is free to use for all customers, tables reservations, private use of the function room & birthday/ special occasion bookings are also free to book – email for more details: keepthefaithful@gmail.com Hiring the private function room for no charge makes it 1 of the cheapest you will find in Central London. 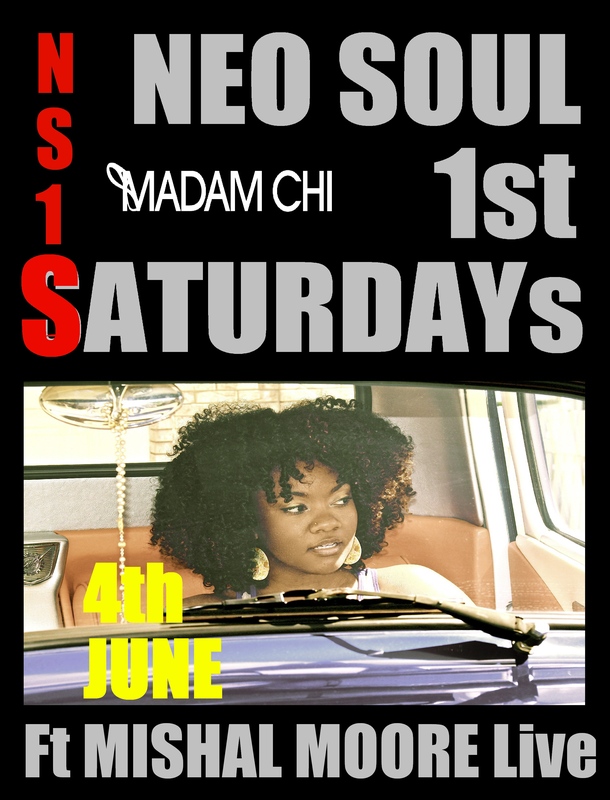 “NEOSOUL1stSATURDAYs” (‘NS1S’), formerly “NEOSOUL3rdFRIDAYs (‘NS3Fs’) – London’s longest running Neo-Soul night featuring Neo-Soul & down-tempo Nu Soul all night. There was a need to create this night at this point in time in London due to the feedback we got from attendees who found no where else was playing large amounts of this music on the weekends in London. This event is very much a labour of love & as with all niche & specialist music nights – it requires your support through attendance to keep happening. NS1S is part of Keep The Faith’s Groove Lineage Eclectic Soul night. DJ Paul Aaaron on decks with occasional guests & release parties for previous artists such as Erykah Badu, Dwele, The Foreign Exchange, Eric Roberson as part of this night. Expect to hear artists like: Erykah Badu, Dwele, J Dilla, Eric Roberson, F.E., D’Angelo, Maxwell, Angie Stone, Musiq Soulchild, Omar, Marsha Ambrosius, Floetry, Bilal, Carmen Rodgers, Sy Smith, Zo, QTip, The Roots, Raphael Saadiq, N’Dambi, Common, Anthony David, Teedra Moses, Janelle Monae, Outkast, Jessie Boykins III, Oddisee, 9th Wonder, Flying Lotus, Jose James, Fertile Ground, Peven Everett & more..
Neo-Soul, Down-tempo Nu Soul, new music, Neo-Soul favourites & related music all night. The next NS1S events after this July 2nd was the last NS1S at the previous venue – details of our new venue and dates to follow, thanks as ever for your attendance. Posted in 2011, 9th-Wonder, A.L, AMY-WINEHOUSE, ANDWELE-G, Angel, Angie-Stone, Anthony-David, Anthony-Hamilton, Badu, Blackalicious, Blog, Blogger, Blogging, Carmen-Rodgers, Clubbing, Coffee-Lounge, Common, D'Angelo, Daru, Dates, Dilla, DJ Jazzy Jeff, DJ-KAY, DJ-Kay(K15), DJ-PAUL-AAARON, DWELE, DWELE-G, ELISHA-LA'VERNE, Eric-Roberson, Erykah-Badu, ErykahBadu, Events, Every-1st-Saturday-Of-Each-Month, F-E, FIRST-EVER, Floetry, Flying-Lotus, Forum, Free, Free-Entry, Free-Give-Aways, GILLES-PETERSON, GrooveLineage.Com, Hi-Tek, Hidden-Beach, Highbury, Highbury-Corner, HIP-HOP, Hip-Hop-Jazz, IMPROVISING, India-Arie, Islington, J Dilla, Jaguar Wright, JAMIROQUAI, Janelle-Monae, JAZZ-CAFE-LONDON, JAZZ-DANCE, Jazz-Poetry, JAZZCAFE, Jesse-Boykins-III, Jill Scott, Jose-James, JOSEPH-JUNIOR, Julie-Dexter, JulieDexter, KEEP-THE-FAITH-EVENTS, KEEPTHEFAITH, KeepTheFaithEvents.Com, KeepTheFaithFul.Com, KetchAVibe, KTF, Launch-Party, Ledisi, Leela James, Listen-Back, Listening-Session, Listings, Little Brother, Live-Instruments, LONDON, Lounge, Marsha-Ambrosius, Maxwell, Mishal-Moore, Music-Lounge, Musiq-Soulchild, N'Dambi, N1, Neo-Soul, Neo-Soul-1st-Saturdays, Neo-Soul-Club-Night, Neo-Soul-Gigs, Neo-Soul-Info, Neo-Soul-London, Neo-Soul-London-Night-Club-Events, Neo-Soul-Lounge, NEO-SOUL-World-Wide-Live-Series, NEO-SOUL-WORLDWIDE-LIVE-SERIES, NEO-SOUL-WW, NeoSoul, NEOSOUL1stSATURDAYs, NEOSOUL3rdFRIDAYs, NEOSOULWW, New-Album, NS1S, NU-JAZZ, NU-SOUL, NUSOUL, Oddisee, okay-player, Omar-Lyefook, OUTKAST, P-A, PA, PAUL-AAARON, Pharoahe Monch, Phonte, Platinum-Pied-Pipers, Porsche-Smith, PPP, QTip, Quest-Love, R&B, RADIO, Raheem-Davaughn, Revivalist, Selina-Campbell, SOUL, Soulful, Soulful-Hip-Hop, Soulful-House, Specialist-Music, SPOKEN-WORD, SURPRISE-GUESTS, Sy-Smith, SyberSpace, Talib Kweli, THE-FOREIGN-EXCHANGE, The-Light-Of-The-Sun, UK, UK-HIP-HOP, UK-SOUL-JAM, UKSOULJAM, VALERIE-ETIENNE, Website, What's-On, Whats-On-In-London, win, Wine-Lounge, ZO! DATES: Sat June 4th, Sat July 2nd, Sat Aug 6th 2011 & every 1st Saturday of each month til further notice. Close to Hope & Anchor pub & Islington Town Hall. A wide range of coffee’s, juices, wines, beers and champagnes including organic & fair trade goods. A range of organic cakes, snacks & truffles also. 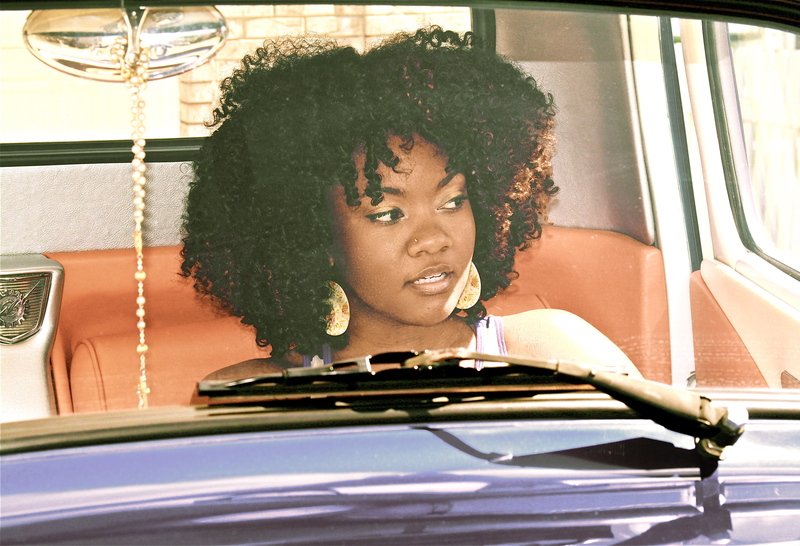 Neo-Soul, Down-tempo Nu Soul, new music, Neo-Soul favourites, Julie Dexter’s new album & related music all night. 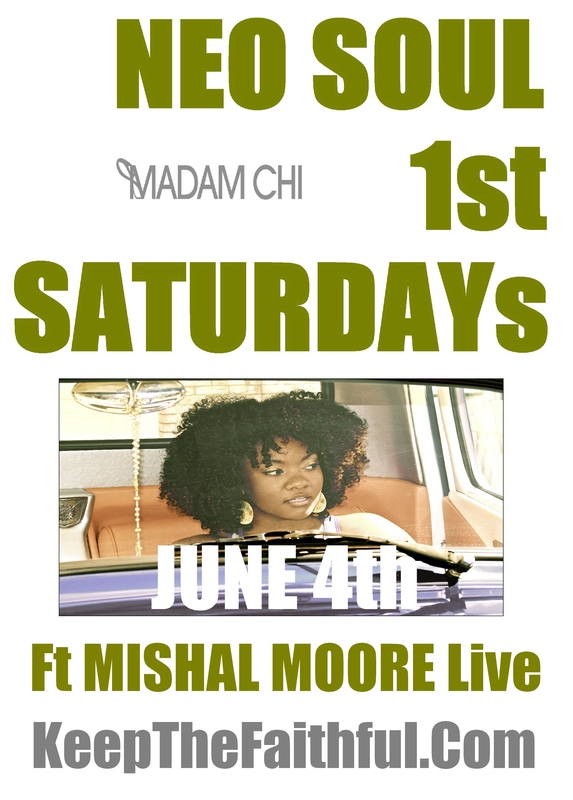 NYC based Singer/songwriter Mishal Moore and her band, The Fantastic Souls, spent 2010 performing to audiences across the east coast of America. From ‘spotlight’ performances such as Musikfest (in Bethlehem, PA), to opening for artists such as Zee Avi. Garnering critical acclaim for her live performances at some of New York’s legendary venues such as The Knitting Factory, SOB’s, Living Room and Arlene’s grocery (to name a few), Mishal has received dynamic responses. The next NS1S events after this June 4th 2011 ‘NS1S’ are scheduled for Sat July 2nd & Sat Aug 6th 2011. Posted in 2011, 9th-Wonder, ANDWELE-G, Angie-Stone, Anthony-David, Be-Bop, Blackalicious, Blog, Blogger, Blogging, Boom-Bap, BRITISH-SOUL, Carmen-Rodgers, CDs-For-Sale, Clubbing, Coffee-Lounge, D'Angelo, Daru, Dates, DEBUT, Dilated Peoples, Dilla, DJ-PAUL-AAARON, DWELE, DWELE-G, Eric-Roberson, Events, Every-1st-Saturday-Of-Each-Month, F-E, FIRST-EVER, Floetry, Flying-Lotus, Forum, Free, Free-Entry, Free-Give-Aways, Fusicology, GILLES-PETERSON, GrooveLineage.Com, Hi-Tek, Highbury, Highbury-Corner, HIP-HOP, Hip-Hop-Jazz, IMPROVISING, India-Arie, Islington, J Dilla, Jaguar Wright, Jam, Janelle-Monae, Jazz-Poetry, Jesse-Boykins-III, Jill Scott, Jose-James, Julie-Dexter, JulieDexter, KEEP-THE-FAITH-EVENTS, KEEPTHEFAITH, KeepTheFaithEvents.Com, KeepTheFaithFul.Com, Kenny-Dope, KTF, Leela James, Listening-Session, Little Brother, LIVE, Live-Instruments, LONDON, Lounge, Marsha-Ambrosius, MAW, Mishal-Moore, Mos Def, Music-Lounge, Musiq-Soulchild, N'Dambi, N1, Neo-Soul, Neo-Soul-1st-Saturdays, Neo-Soul-Club-Night, Neo-Soul-Gigs, Neo-Soul-Info, Neo-Soul-London, Neo-Soul-London-Night-Club-Events, Neo-Soul-Lounge, NEO-SOUL-World-Wide-Live-Series, NEO-SOUL-WORLDWIDE-LIVE-SERIES, NEO-SOUL-WW, NeoSoul, NEOSOUL1stSATURDAYs, NEOSOUL3rdFRIDAYs, NEOSOULWW, New-Again, Night-Club, NS1S, NU-JAZZ, NU-SOUL, NUSOUL, NYC-Studio, Oddisee, okay-player, On-Sale, P-A, PA, PAUL-AAARON, Pharoahe Monch, Phonte, Platinum-Pied-Pipers, Porsche-Smith, PPP, QTip, Quest-Love, R&B, RADIO, Raheem-Davaughn, Revivalist, Sa-Ra, Scratch, skillz, SOUL, Soulful, Soulful-Hip-Hop, Soulful-House, Specialist-Music, Sunshine-Anderson, SURPRISE-GUESTS, Sy-Smith, SyberSpace, Talib Kweli, the jazzyfatnastees, THE-FOREIGN-EXCHANGE, UK, UK-SOUL-JAM, UKSOUL, VALERIE-ETIENNE, Website, What's-On, Whats-On-In-London, win, Wine-Lounge, ZO! The next NS1S event after this May 7th 2011 launch is scheduled for Sat June 4th 2911. More info to follow on the June 4th 2011 event. Posted in 9th-Wonder, ANDWELE-G, Angel, Angie-Stone, Anthony-David, Blog, Blogger, Blogging, Boom-Bap, Carmen-Rodgers, Clubbing, Coffee-Lounge, D'Angelo, Daru, Dates, DEBUT, Dilla, DJ Jazzy Jeff, DJ-PAUL-AAARON, DWELE, DWELE-G, ELISHA-LA'VERNE, Eric-Roberson, Events, Every-1st-Saturday-Of-Each-Month, F-E, FIRST-EVER, Floetry, Flying-Lotus, Free, Free-Entry, GILLES-PETERSON, Highbury, Highbury-Corner, HIP-HOP, Hip-Hop-Jazz, IMPROVISING, India-Arie, Islington, J Dilla, Jaguar Wright, JAMIROQUAI, Janelle-Monae, Jazz-Poetry, Jesse-Boykins-III, Jill Scott, Jose-James, KEEP-THE-FAITH-EVENTS, KEEPTHEFAITH, KTF, Leela James, Listings, Little Brother, LIVE, Live-Instruments, LONDON, Lounge, Marsha-Ambrosius, Meshell Ndegeocello, money-save, Mos Def, Music-Lounge, Musiq-Soulchild, N'Dambi, Neo-Soul, Neo-Soul-1st-Saturdays, Neo-Soul-Club-Night, Neo-Soul-Gigs, Neo-Soul-Info, Neo-Soul-London, Neo-Soul-London-Night-Club-Events, NEO-SOUL-World-Wide-Live-Series, NEO-SOUL-WORLDWIDE-LIVE-SERIES, NEO-SOUL-WW, NeoSoul, NEOSOUL1stSATURDAYs, NEOSOUL3rdFRIDAYs, NEOSOULWW, Night-Club, NS1S, NU-JAZZ, NU-SOUL, NUSOUL, Oddisee, Outcast, P-A, PA, PAUL-AAARON, Pharoahe Monch, Phonte, Platinum-Pied-Pipers, Porsche-Smith, PPP, QTip, Quest-Love, R&B, RADIO, Raheem-Davaughn, SOUL, Soul-Britania, Soulful-Hip-Hop, Soulful-House, Specialist-Music, Sunshine-Anderson, SURPRISE-GUESTS, Sy-Smith, SyberSpace, Talib Kweli, THE-FOREIGN-EXCHANGE, UK, UK-SOUL-JAM, UKSOUL, UKSOULJAM, Uncategorized, Website, What's-On, Whats-On-In-London, Wine-Lounge, ZO!